Nowadays most of us rely on packages and offer by telecommunication companies to meet our communication needs. Network providers are also trying up all their services in a single bundle considering the want and desire of people. Hybrid bundles save us from the headache of activating two or three packages at a time. To keep your current customers and to attract new ones telecom companies must focus on introducing hybrid bundles at a low price. 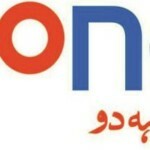 Zong is offering the best and cheap rates for Sixer Plus offer. This offer gives you the opportunity to get much benefit at just Rs 8 + tax for a day. No hidden or extra charges will be deducted. Dial *666# from your Zong prepaid connection to activate the Zong Sixer plus Offer. You will receive a confirmation message shortly about successful activation. Unlimited minutes from Zong to Zong so that you can enjoy free talk time. Say hello to your friends and others with unlimited SMS to all local network in Pakistan. Only prepaid customers can avail Zong Sixer Plus Offer. Offer is valid only for a day. As this is a sixer offer, you can get all the benefits from 6 am to 6 pm. If you want to call or messages in other timings, then default rates will apply. It is a recursive auto offer, it will renew at midnight if you have sufficient balance. Standard per call setup charges of Rs 0.10 + tax will apply. FED tax will be applicable according to your locality. On recharge and other services withholding tax will apply. The offer will automatically expire at 12 am in case of not enough balance. To unsubscribe this Zong Sixer Plus Offer type “Unsub” and send this message to 666111. From unbeatable low and best rates to quality customer service, you can enjoy a memorable user experience with Zong, and that is the way it is one of the leading companies in the telecom sector. 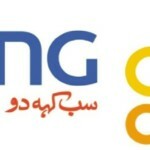 Zong is doing its best to fulfill user’s needs and wants. 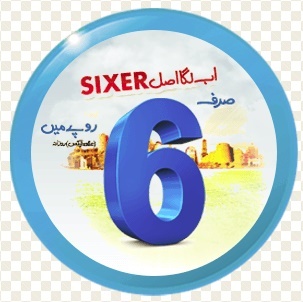 Sixer Plus Offer is the lowest price plan for your daily communication needs. Start your conversations with Zong Sixer Plus Offer, a complete package that suits all your needs.